Margo is a mid-rise building located in Santana Row, close to shops, restaurants and more. This is a great building for those who want a walkable lifestyle of shops & restaurants of Santana row. 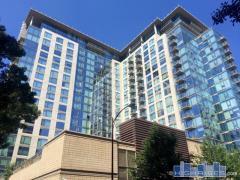 Condo amenities include granite counters, stainless appliances, secure underground parking and central heat and A/C. Also be sure to check out De Forest Lofts and The Villas which are also part of Santana Row. Have any comments or questions about Margo at Santana Row? Ask your question and/or share your thoughts about this Building.